Iteleti ReMed is your Medical Equipment source for quality new, refurbished, and used medical equipment. We even ship outside the USA. Below you will find a partial listing of just some the used medical equipment that we carry. You can also find current inventory of our new and used medical equipment for sale on a few online sites. Our main office is in Norman, Oklahoma and our warehouse is in Oklahoma City (OKC Metro) Area. We Sell Patient Monitors, Vital Signs Monitors, Pulse Oximeters, Ultrasonic Generators, Oximeters, Suction Apparatus, NIBP Monitors, Thoracic Drainage Medical Devices, Immersible Transducers, Portable Ventilators, and Other Quality Used Medical Equipment. Here we have the Sonicor. The Sonicor “It” Series are Large Volume Ultrasonic Cleaning Tanks with Immersible Transducers with Heat and a Filtration Systems. The “IT” series are rugged, large capacity, industrial ultrasonic cleaning systems that are made to perform and also offer some of the best performance specs in its class. (Noise-Free) This is a Post-Operative (Noise-Free) Mobile Aspirator which is by IMPACT and Manufactured by SORENSEN. This is Model 2590-120 which is very similar to the 2591-120 Thermotic Drainage Unit, 128 oz Collection Canister, Intermittent Impact Part # 800-2591-00 Sku # FME-17503 except The 2590 is NOT Constant Adjustable and is either High approx 120 mm Hg when occluded or Low approx 90 mm Hg when occluded. Where as the 2591 which cost $1,500 + and is Constant adjustable between 30 and 180 mm Hg. The IMPACT SORENSEN Model 2590 is designed to deliver mild intermittent rise suction for use in abdominal decompression or drainage of the abdomen, bladder, and other body cavities. Due to the US Military having overstocked such items, Iteleti Medical entered into a contract to purchase these Government Surplus Medical Devices which are NEW* (SEE BELOW FOR DEFINITION). For more information about the Contracts of the Manufacturer (Impact Instrumentation, Inc | Sorensen) of this MOBILE SUCTION APPARATUS, such as their recent Government Contracts click here. Solid state construction offers automatic intermittent operation that’s so quiet that you’ll hardly know that it’s working. Non-mechanical operation delivers long lasting performance with minimum repair or downtime. You can download or view the Sorensen Model 2590 brochure on Impact Instrumentation Inc website located here is a great companion and is recommended even that it be used with the Wangensteen suctioning technique. This Item Includes the 2200 ml collection bottle as shown, graduated in cubic centimeters. Quiet, Mobile, Reliable, Lightweight, Dependable, Large capacity, Hospital-grade plug, Solid state construction, Sturdy and well balanced, Long lasting performance, Non-mechanical operation, Minimum repair or downtime, Automatic air vent overflow cutoff, Convenient built-in line cord storage, Disposable hydrophobic/bacteriostatic filter, Offered with a 2200 ml collection bottle, Automatic continuous operation (90 or 120 mm Hg), Chemical resistant stainless steel space-saving top. This Gomco Model 6053 is NEW and has never been used. This model is designed to reestablish vacuum within the pleural cavity following thoracic and cardiac surgery. Shipping Weight = 78 lb / 35 Kg. The few we have left are New in the box, thoug we mark them as out of box because this is a Government Surplus from the US Military we contracted with. Can you believe these have been stocked piled among other medical equipment and devices that are still never been used! Click the link below. The Impact Uni-Vent Model 750 and Model 754 are both powerful, dependable and used by healthcare professionals all around the world! 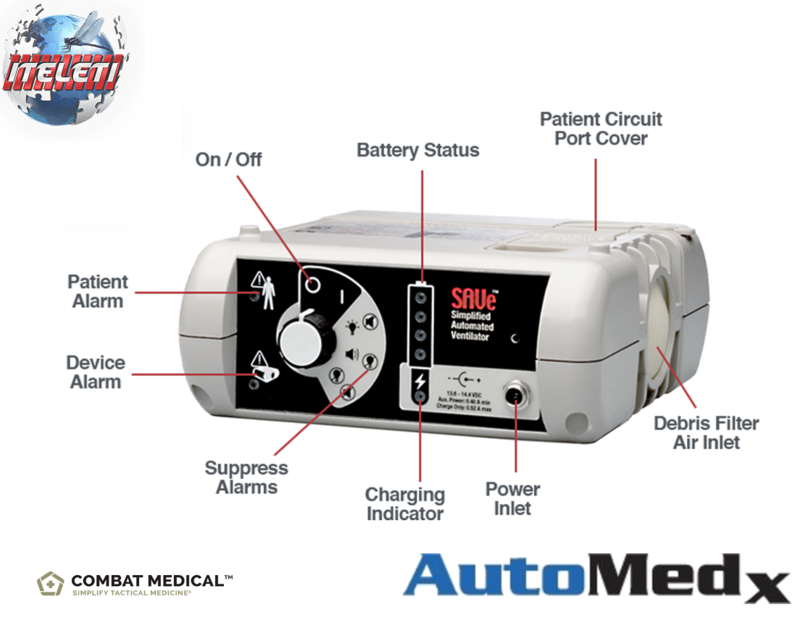 Includes powerful operating modes, full range control settings, comprehensive alarm system, and EMI/RFI certification (includes aeromedical). The Uni-Vent 750 is known as the critical-care portable ventilator that began a revolution in emergency ventilatory care. Like all portable ventilators, its job is to continuously monitor the patients airway pressure, all control settings, alarm parameters and power signals. Known for being a reliable transport ventilator or portable ventilator, capable of maintaining adequate oxygenation and ventilation in a majority of mechanically ventilated patients. Because we have sold quite a few portable ventilators at Itileti Medical Equipment, we thought a brief article or definition of Aeromedical would be a good idea. At one time, Aeromedical was mainly known as a limited, primary component and a rapidly deployable resource of the United States Air Force’s aeromedical evacuation. Also known as The Critical Care Air Transport Team or even the Air Force Reserve Command. Many of these Aeromedical Companies we will provide an all-inclusive quote up front, so there are no hidden fees. Stay Tuned…More Medical News, Product Offerings and More to Come!